MINNEAPOLIS (WCCO) — A newly-elected Minnesota lawmaker is pushing to ban a kind of therapy that aims to change a person’s sexual orientation or gender identity. 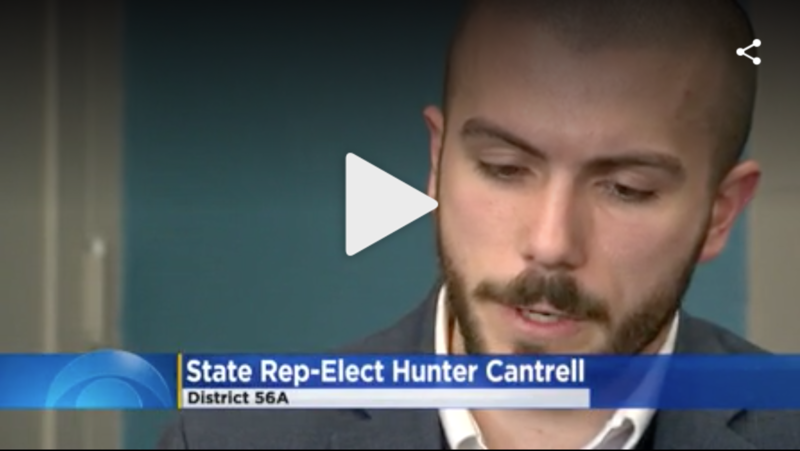 State Rep.-elect Hunter Cantrell wants Minnesota to pass a ban on conversion therapy. He will represent Burnsville and Savage. “We have to be advocates for people who aren’t able to be advocates for themselves,” Cantrell said. There are currently 14 states that ban conversion therapy, along with Washington, D.C.
Cantrell, who is openly gay, wants Minnesota added to the list. “The approach of practitioners of conversion therapy is to approach it as something that needs to be treated when really people who are LGBTQ are perfect just the way they are,” Cantrell said. The bill would prevent licensed mental health care providers from practicing conversion therapy on youth under age 18. OutFront Minnesota says dozens of practices offer the therapy across the state. The issue of conversion therapy has even received attention in Hollywood. In theaters Friday is a movie called “Boy Erased.” It’s a story of a young man who is forced into a conversion program, with performances from big stars like Nicole Kidman and Russell Crow. OutFront Minnesota says the ban has been brought up in previous years but never passed. Cantrell will assume his position in the Minnesota House in January.